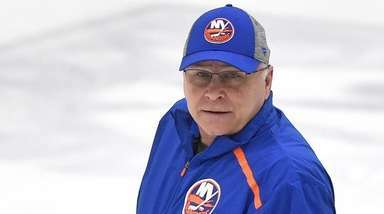 The Rangers won their first Stanley Cup in 54 years with a 3-2 Game 7 win over the Vancouver Canucks at Madison Square Garden on June 14, 1994. 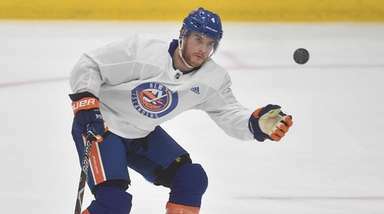 New York Rangers' Steve Larmer (28), Mark Messier, rear left, Adam Graves, center, and Brian Leetch, wearing shield, celebrate Leetch's first-period goal against the Vancouver Canucks as Canucks' Dave Babych skates by during the first period in Game 7 of the Stanley Cup Final at Madison Square Garden, Tuesday, June 14, 1994. 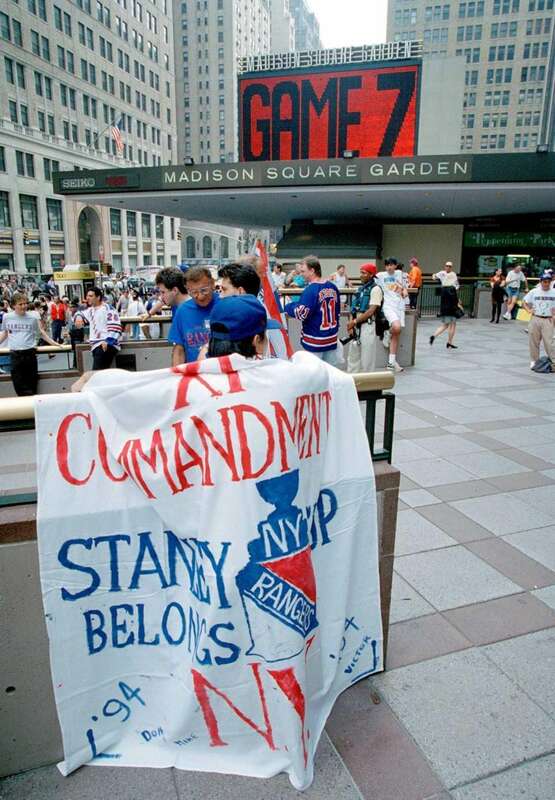 Rangers fan Michael Ten wears a banner prior to Game 7 of the Stanley Cup Final game outside Madison Square Garden on Tuesday, June 14, 1994. 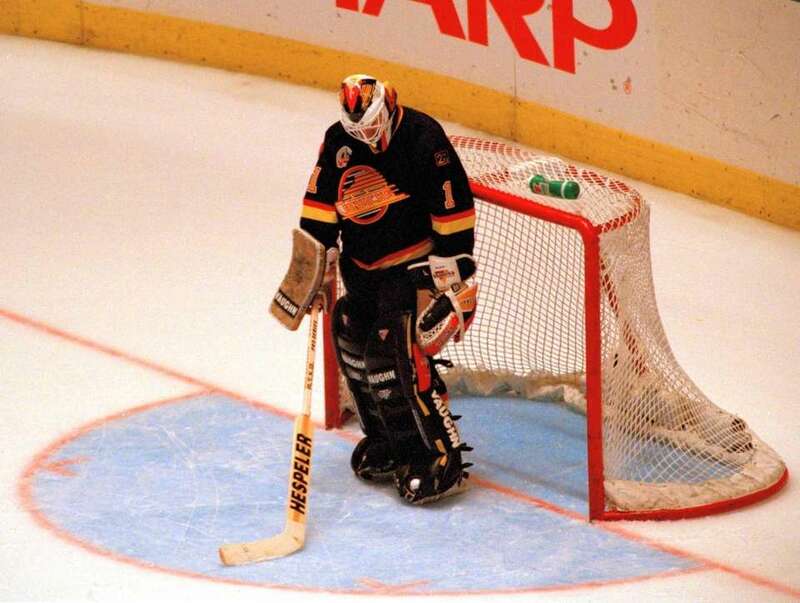 A dejected Vancouver Canucks goalie Kirk McLean stands near the goal after the New York Rangers scored in Game 7 of the Stanley Cup Final at Madison Square Garden, Tuesday, June 14, 1994. 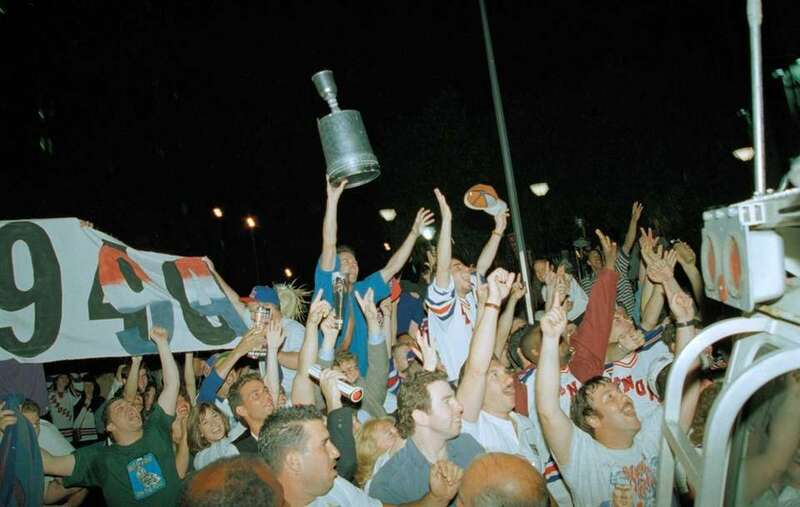 Rangers fans celebrate outside in the streets after the team won the Stanley Cup on June 14, 1994. 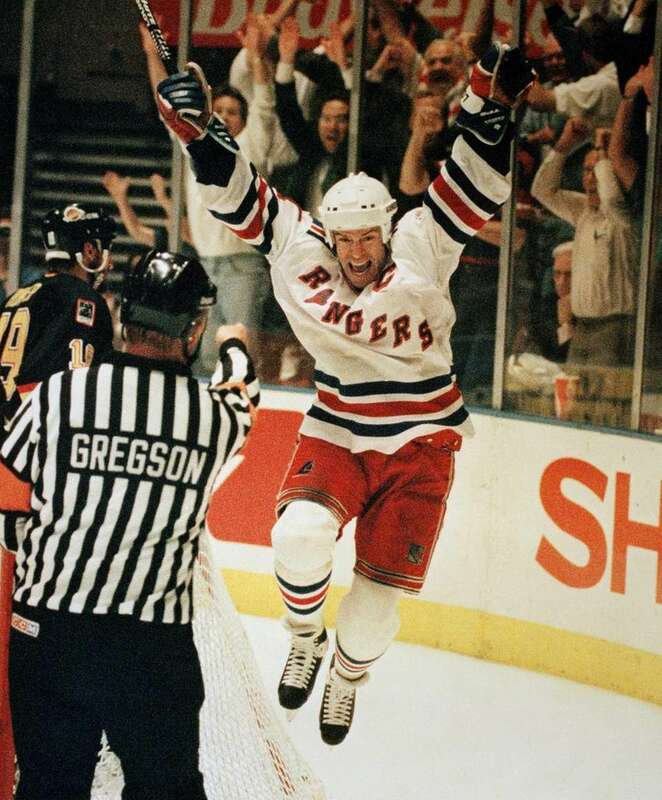 New York Rangers' Mark Messier celebrates his second-period goal against the Vancouver Canucks in Game 7 of the Stanley Cup Final at Madison Square Garden, Tuesday, June 14, 1994. 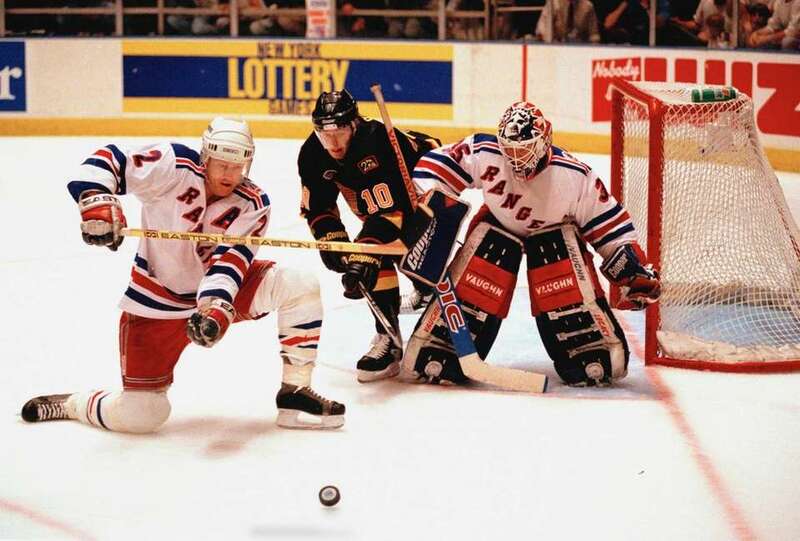 New York Rangers goalie Mike Richter, right, and Brian Leetch keep Vancouver Canucks' Pavel Bure out of the goal in Game 7 of the Stanley Cup Final at Madison Square Garden, Tuesday, June 14, 1994. 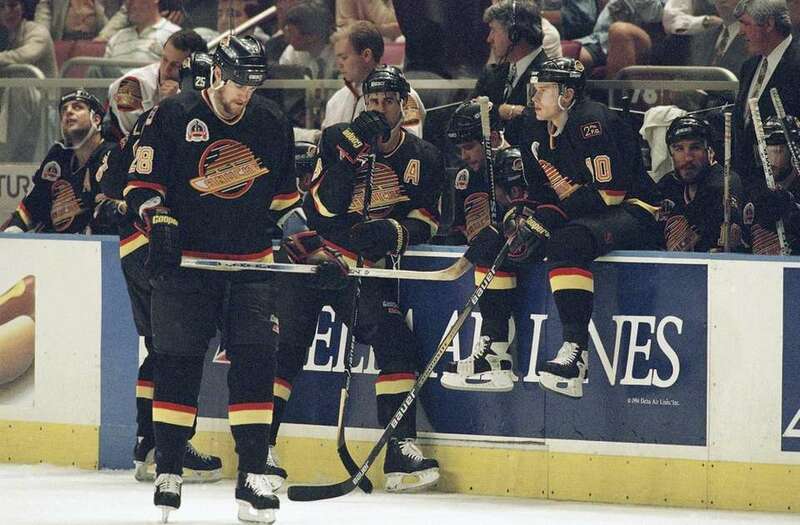 From left, Vancouver Canucks' Brian Glynn (28), Greg Adams (8), and Pavel Bure (10) look dejected at the end of the second period against the New York Rangers in Game 7 of the Stanley Cup Final at Madison Square Garden, Tuesday, June 14, 1994. 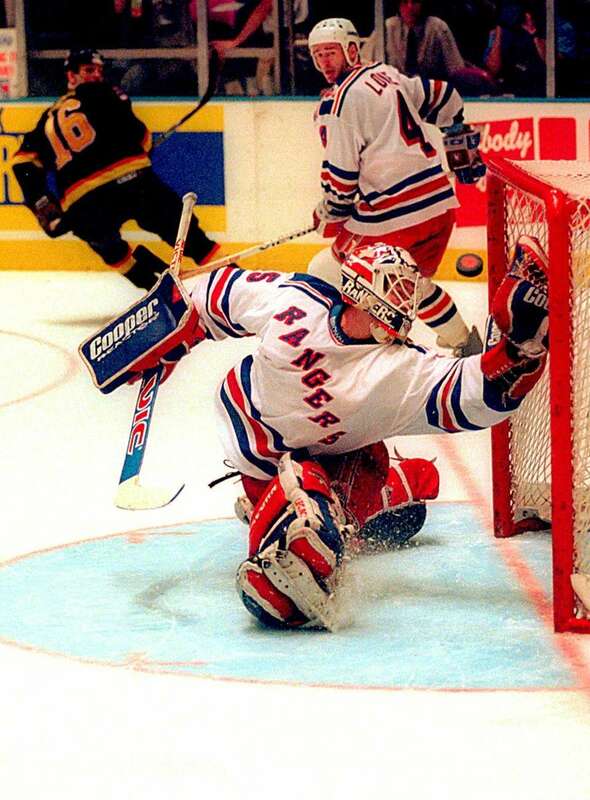 New York Rangers goalie Mike Richter makes a save in the third period as Vancouver Canucks' Trevor Linden (16) skates away and Rangers' Kevin Lowe (4) looks on in Game 7 of the Stanley Cup Finals at Madison Square Garden, Tuesday, June 14, 1994. 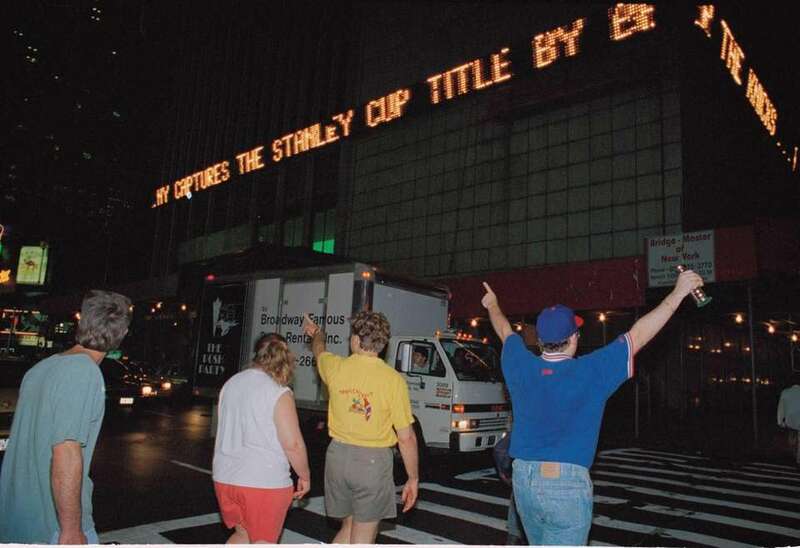 New York Rangers fans celebrate in front of a news zipper in Times Square Tuesday, June 14, 1994, after the Rangers defeated the Vancouver Canucks in Game 7 of the Stanley Cup Final. 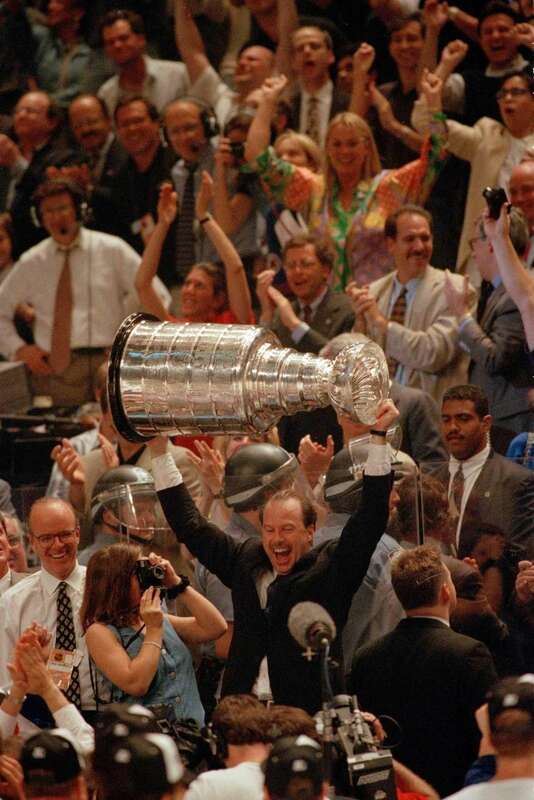 New York Rangers head coach Mike Keenan holds up the Stanley Cup after his team defeated the Vancouver Canucks, 3-2, in Game 7 of the Stanley Cup Final at Madison Square Garden, Tuesday, June 14, 1994. 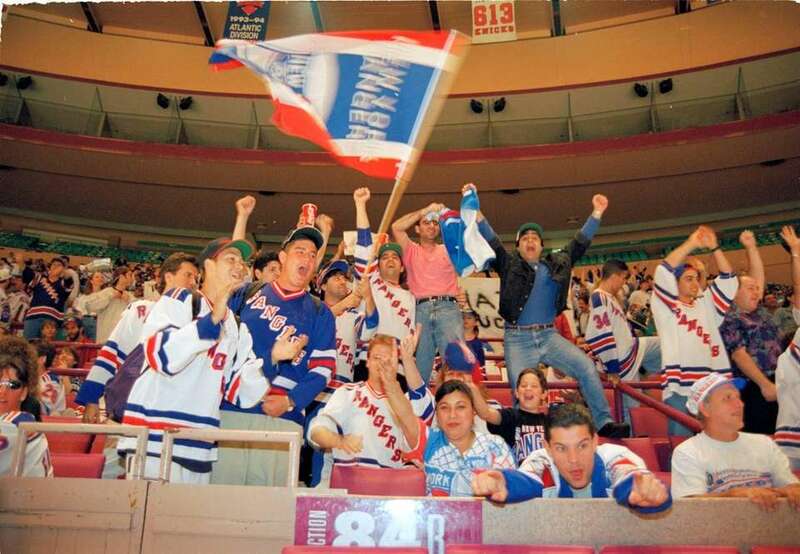 Rangers fans rejoice during Game 7 of the Stanley Cup Final on June 14, 1994 at Madison Square Garden. 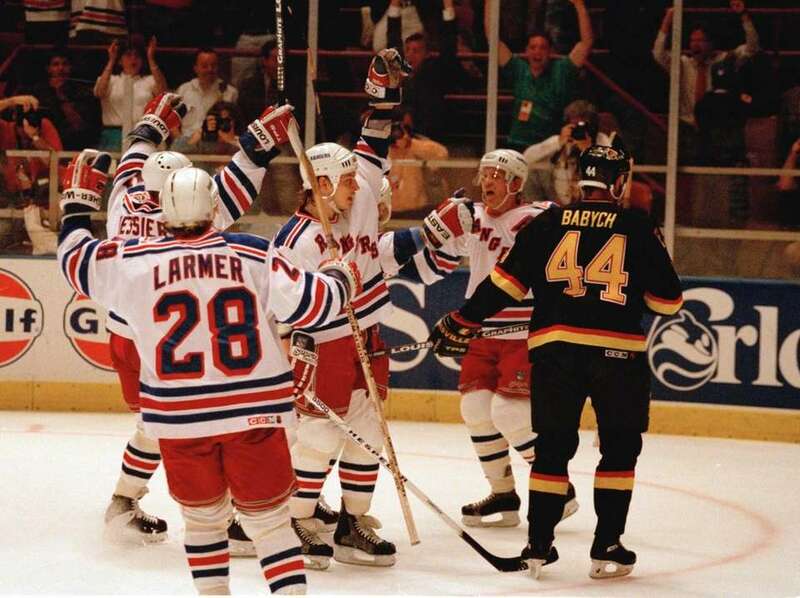 Rangers goalie Mike Richter, right, raises the Stanley Cup next to teammate Mark Messier as the Rangers celebrate their win over the Canucks on June 14, 1994.